This is Coach Rhone’s 16th year teaching at Queen Creek High School. He has also been involved in coaching softball, basketball and badminton for over 10 years. He has also helped coach boys volleyball. He is a native of Arizona and has seen a lot of change in the Queen Creek area since living here. Coach Rhone is married with four children. He has a degree in Education from Ottawa University and a Master’s in Physical Education from Arizona State University. In his free time he enjoys being with his family, watching sports and running. Coach Shaun Hardt has been coaching cross country and track & field at QCHS for over 10 years and has taught biology for over five. He graduated from Payson High School in 1983 as a four-year letterman in football, basketball, track and baseball. He holds the school record in the mile and was a member of the 1982 state champion football team. He graduated from NAU with a bachelors in elementary education while also playing football and receiving honors. He then went on to complete his masters in educational administration and supervision from the University of Phoenix. Coach Hardt has also coached in Springerville, taught and coached in the Payson Unified School District, taught and coached at Round Valley High School and for the Florence Unified School District. As a coach at QC, he’s won the state championship in track & field 10 times, seven for girls and three for boys. 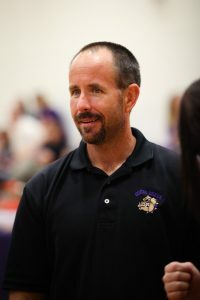 He’s been selected as Coach of the Year for both basketball and track and also serves as the Boys Selection Chair and Head Coach for the Arizona All Star Track Team. He has been married for over 25 years and has six children, three girls and three boys. Three of them have received DI college scholarships for track and field. He also breaks horses and likes to rope. He enjoys fishing, hunting, spending time with his family and serving in his church. He is a fifth generation Arizonan. Coach Underwood originally coached the boys golf team from 2001-2008 and began coaching again in 2016. 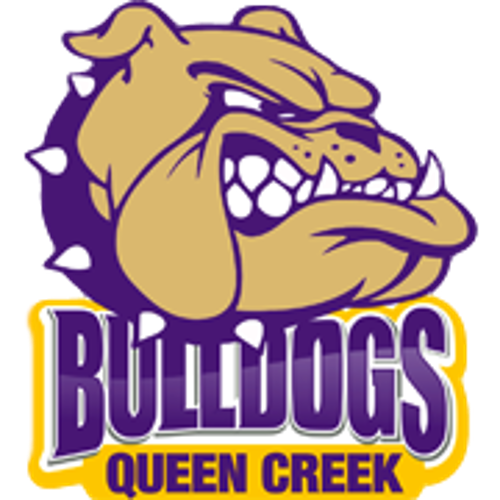 He had the opportunity to coach his sons, Trent and Riley from 2001-2004, and daughter Kelsey, from 2005-2006, before QC moved up in classification and the girls formed their own team. Las Colinas Golf Course, located just southwest of the high school across Rittenhouse Road, has served as the home field golf course since 2000. Coach Underwood spent a career teaching in Mesa Public Schools for 31 years before retiring in 2011. 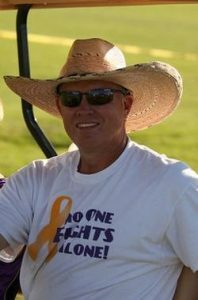 Since 1999, he has had the pleasure to announce almost every QCHS freshman, JV, and varsity football game starting with the old high school field and cracker box press box to our modern day air-conditioned facility. Throughout the years he has also periodically announced basketball,track & field, wrestling, softball and baseball, but as of yet no golf. 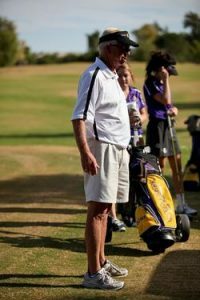 Coach Hennerley has been coaching the Queen Creek girls golf team for the past 12 years. His teams have qualified for the state golf tournament for 11 of those 12 years. The golf program has been very successful over the years with many of the players being offered scholarship opportunities at the junior college and college levels. His background in golf goes back to the early 1970’s when he played tournament golf in Wisconsin and was offered the chance to attend the PGA Qualifying School in Florida. He wasn’t able to take advantage of that opportunity, but continued to play competitive golf throughout the early 1980’s. Coach Moore has danced since she was young and was in a competition dance studio until she was 14 or 15 and then decided to put her focus into ballet. She spent 2.5 years at a pre-professional ballet school in Seattle. She also trained at Ballet Arizona for two years and performed in some professional ballets. After that she fell in love with teaching dance at an orphanage in Mexico and got her degree in dance education from ASU. She has worked a lot with high school aged students and teaches at the Arizona Dance Studio, but this is her first time as a high school coach. Coach Bint was born and raised in Queen Creek, Arizona. 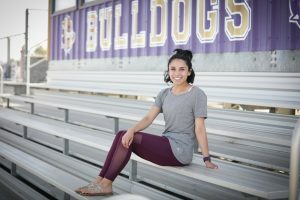 She was a cheerleader for 12 years, starting at Queen Creek Middle School. She then attended Queen Creek High school and went on to cheer at Northern Arizona University, where she received her bachelors degree in Sociology with a minor in Criminal Justice. This year will be her 10th year coaching and first at Queen Creek. Coach Bint has been married to her husband for two years and just recently moved back to the valley from Michigan. Bear grew up in Arizona where he swam both in club and in high school at Mesa High. He swam in the state meet all four years of high school and still holds school records at Mesa High and Viewmont High. After high school, he left for a two year LDS Mission to Germany and Switzerland. When he returned from his mission he married his wife Tycee (who is also a swimmer) and attended school at Arizona State University. There he competed on the swim and triathlon teams while earning his Bachelor’s degree in Kinesiology. Bear and Tycee have been married eight years and have three beautiful children. Their 7-year-old daughter, Berlyn, loves to swim as well. They also have two sons-Bridger, who is three years old and Boston, who is almost 1 years old. Bear has 10 years teaching and coaching experience with swimmers of all ages, from teaching at Aqua-Tots to coaching at Mesa Aquatics Club. He loves everything to do with swimming and continually seeks to improve not only as a swimmer but as a coach as well. He enjoys watching swimmers improve and helping them to reach their goals. Coach Wills grew up in Arizona where she began her swimming career at a young age. She swam for Desert Thunder Aquatic Club, but soon changed over to synchronized swimming. She did club synchro for the Arizona Aqua Stars throughout high school and also swam for the Mountain View High swim team. After high school she went to the U of A earning her B.S. in Deaf Studies and Interpreting. Recently, she went back to school at U of A and graduated with her M.Ed. and is now a sign language teacher at Queen Creek High School. Coach Wills has 10 years experience coaching and teaching and loves working with kids, academically and with swimming. She enjoys watching her students grow into young adults and being a positive influence in the classroom as well as being an athletic coach. Coach Keith is in his fifth year of coaching swim at his alma mater. 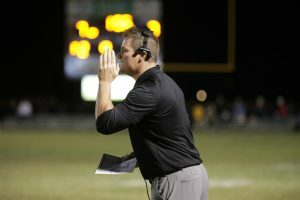 During his tenure the high school has experienced multiple individual state championships and school records. He has experience coaching ages ranging from 11-75. He’s been a club coach for Mesa Aquatics Club and Lifetime Fitness, working with various groups ranging from beginner to master level. 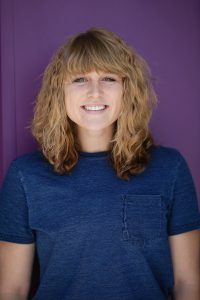 As an athlete, Dillan has swam for four different clubs her in the valley, exposing himself to multiple disciplines and philosophies regarding skill acquisition and strategy. Dillan loves to see athletes gain confidence in the water and build their efficacy within the sport. 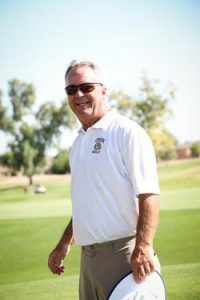 He looks forward to perpetuating the tradition of success established at Queen Creek High School. Playing career: Erica played 4 years at Brigham Young University on a full-ride scholarship. She played outside hitter for two years and opposite for two years. She won Mountain West Conference Honors all four years of play. She helped lead her team to the Elite 8 her senior year, where she won All-American Honorable Mention. She went straight from that senior season to playing professional volleyball overseas. She played a season in Puerto Rico, playing for the Vaqueras in Bayamon (2008). Then she played for VCW in Wiesbaden, Germany (2009), Pallokarhut in Kuusamo, Finland (2010) and then back to Puerto Rico to play for the Valencianas of Juncos (2011). Coaching career: Erica has always been a student of the game. She started coaching camps in college, spending her summers coaching for Gold Medal Squared all over the nation. After her professional playing career, she moved to Arizona to coach college. She coached as the volunteer assistant at Arizona State University for Jason Watson (2011). During that time, she also coached club at Club Red (13’s and 17’s age group). She spent a year coaching at Seton Catholic High School, where they won the state championship. After that, she spent 4 years right here at Queen Creek High School. Alongside coaching the girls, she started the boys volleyball program. After spending the 2015 season as an assistant coach at Arizona State University, she returned to Queen Creek to coach the girls to the State Championship match in 2017 and hopes to get back there to win it this year! Nicole Warner is a new addition to the Queen Creek volleyball Team this season as an assistant Varsity coach. Nicole competed from 2008-2012 as a middle blocker at Brigham Young University in Provo in both the Mountain West Conference and West Coast Conferences where she earned numerous awards including All-American honors, All-Pacific Region Team, Volleyball Magazine All-America Team, Defensive Player of the Year Award, All-WCC First Team, and numerous Academic All-Conference awards. During her time at BYU she was ranked one of the top blockers in the nation in blocks per set in several seasons. She is still ranked among BYU’s top players with many blocking and hitting records. After BYU, Nicole competed in France as a professional volleyball player during the 2013 season. Currently, Nicole competes semi-professionally as a beach volleyball athlete. 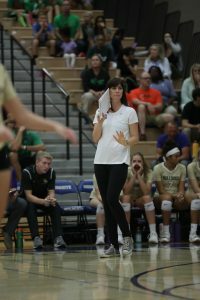 Nicole’s previous coaching career involves many club seasons in the state of Utah where she coached many of the state’s best female volleyball athletes who have advanced to compete in the NCAA. Nicole lives in Gilbert and is a practicing surgical Physician Assistant. When Nicole isn’t involved in playing or coaching volleyball she can be found hiking, boating, using her MoviePass or curled up with a good book.